Transparent label can not be detected? Home / News / Transparent label can not be detected? Some customers may notice that your labeler supplier cares about if you use transparent label. And they will update the label sensor if you do. Why we need to change a label sensor for transparent/clear label? Common label sensor cannot detect transparent label, because it distinguishes labels and blank space by beam penetrability, which will have no difference when applying clear label. As most labels are opaque, labeler manufacturers usually use common label sensor to make a cost-effective equipment. 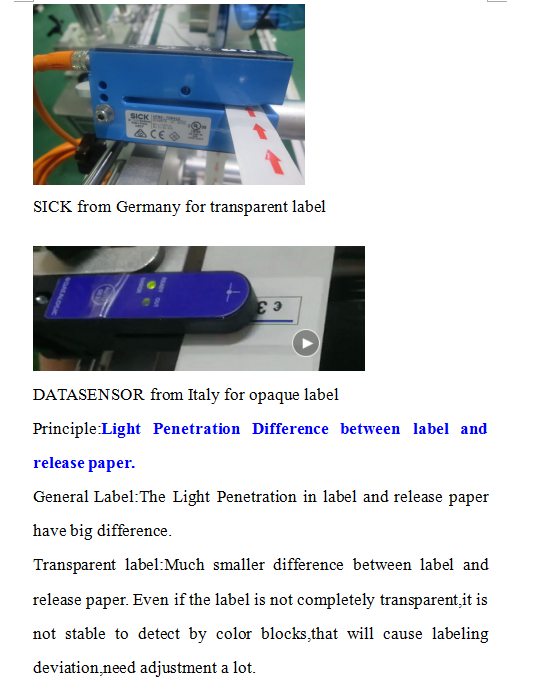 Both clear and opaque label can be detected by a transparent label sensor, but only opaque label can be applied to a common sensor. 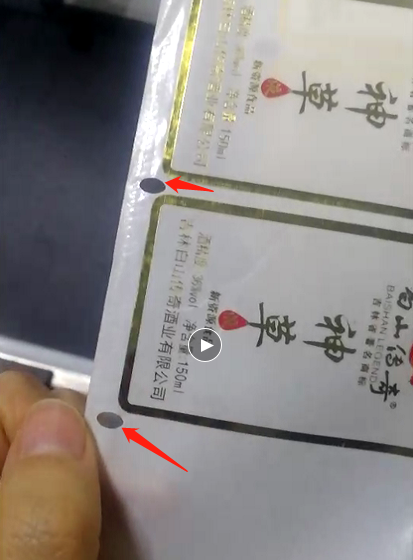 Sometimes the transparent label quantity is small, it is not economic to pay extra fee to upgrade the label sensor. 1.Ask your label supplier to drill a hole between every 2 labels. 2.Print color blocks on every label or the release paper blanks for detection.